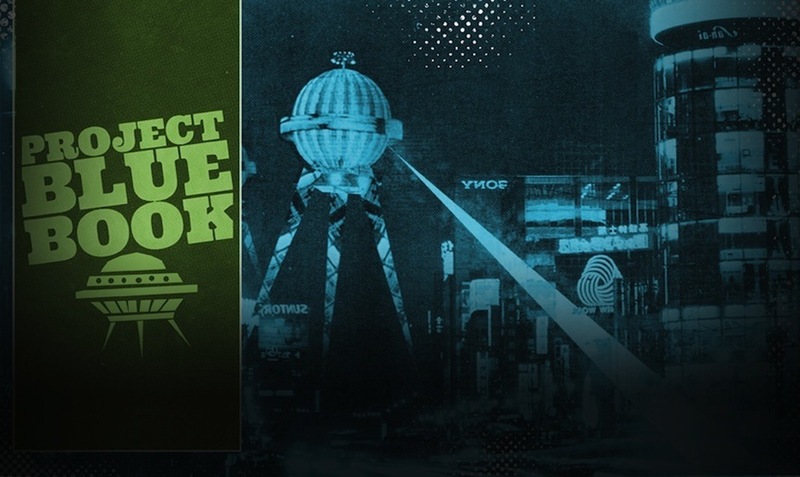 For decades, the U.S. Air Force (USAF) kept a record of all of its investigations into extraterrestrial activity in one extensive report called Project Blue Book. Up until last week Project Blue Book’s massive catalog of over 10,000 UFO and extraterrestrial reports from the 1940s to the 1970s had only been accessible by visiting the National Archives in Washington. Now that the archives are available online, we dug through the files to find the most interesting sightings from our nation’s Atomic Era. The goal of this search wasn’t to prove or disprove UFOs, nor to examine the efficacy of Project Blue Book. Instead, we set out to appreciate the artistic quality of these “supernatural” photos and look into the past from the perspective of thousands of amateur observers, people who looked to the skies with equal parts excitement and fear, and didn’t hesitate to snap a picture of anything. These photographs are reminders that when our imaginations are given a longer leash, we begin to see even the ordinary in a more fantastic light. Yes, these are definitely birds. The Lubbock Lights incident is widely regarded as one of the first great UFO cases in the United States. The USAF came to the conclusion that these lights were most likely a natural phenomenon, namely plovers (birds with a white breast that “could easily reflect city lights”). There’s no way a kid could pull off a hoax that could fool all those geniuses working for the Air Force. The authenticity of the Tulsa photograph (top right) has been fiercely debated since the photo was taken by 14-year-old Alan Smith during a wave of sightings sweeping the Tulsa area. The other photos from the file are USAF attempts to recreate the photo. The image on the right was likely distorted due to radiation from a UFO — or because cameras in the 1950s were just not very good. The photos in question were eventually indentified as the star Arcturus, but the mysterious and spooky reflective quality of the clouds and other stars could inspire a Stephen King novel. Don’t pick this up if you come across it. Unfortunately, there’s almost no information regarding the crash suggested by the photos above — Project Blue Book provided no additional information in the appended file. We can assume this object is likely manmade due to the rivets and flathead screw features, though it does bear some resemblance to a nuclear warhead of that time period. Additional research reveals that 12 years prior to the discovery of the item above, a B-36 bomber crashed over western British Columbia and was known to be carrying nuclear warheads at the time. This incident is regarded as one of the first nuclear weapons losses of this type. While the objects pictured above are unlikely from the 1950 crash, the location lends credence to the idea that there were nuclear weapons in that area. Wave goodbye, these space babies are heading home. Again, there were no additional case files within the Project Blue Book database regarding this image, but if you think that this is something other than a UFO, you need to get your eyes checked. Who threw their hat into the air and started taking pictures? 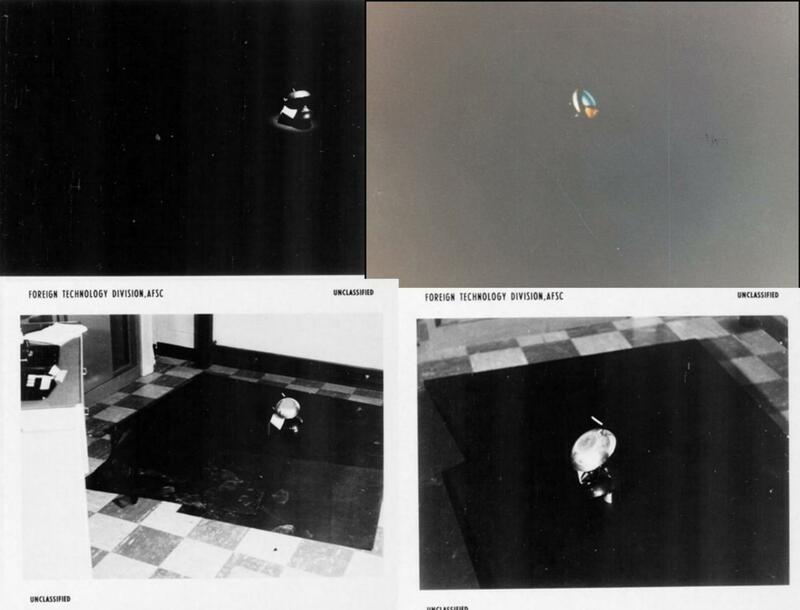 Taken by Orange County highway inspector Rex Heflin, these photos were at the center of a struggle between multiple law agencies to prove or disprove their validity. 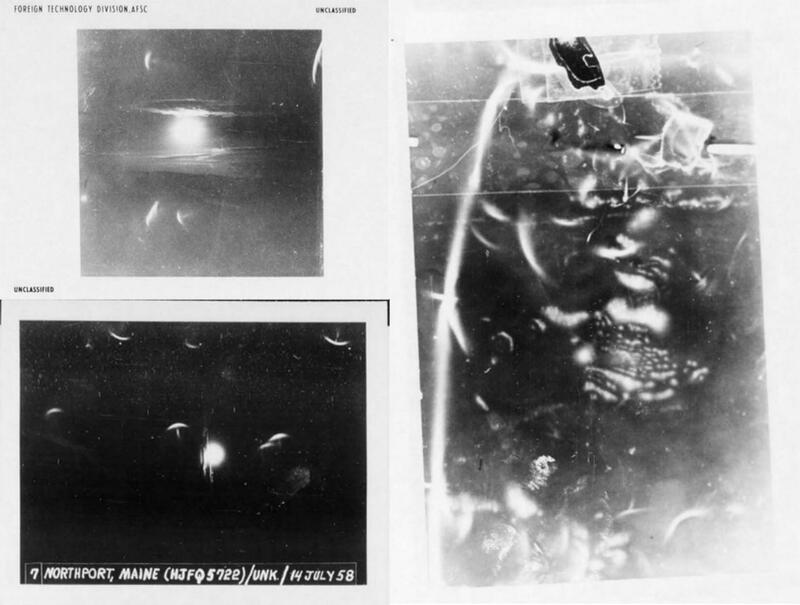 Despite the USAF’s conclusion that these photos were a hoax, many UFO researchers firmly believe these photos to be authentic due to the results of computer-aided enhancement. It’s still a pretty cool cloud. This photograph was determined to be a lenticular cloud, but if you saw this in 1950, had no Internet, and the rest of the world was freaking out about UFOs, “flying saucer” seems a pretty logical guess. Flying clams look almost as good as ones from the sea. Another widely publicized set of photos at the time, the team behind Project Blue Book was quick to dismiss these as possessing “insufficient data” because the photographers refused to give up their original prints. Thunderstorm schmunderstorm — this thing looks like Ramiel from “Neon Genesis Evangelion.” And Ramiel is an alien. This photo was taken by a staff photographer at the Miami News. Because he didn’t hand over the original negatives, the USAF refused to analyze the photo. The photo was taken in the moments leading up to a thunderstorm, leading us to believe that this was probably a natural phenomenon. Alien or not, meteorites are cool as heck. On the first page of the record file kept by the USAF for this photo, the object is identified as a meteorite that is over 100 years old. Yet on the second page of the report, in a note from the department that conducted the physical analysis and minerology report, it states explicitly that it is not a meteorite. Further analysis in the record reveals that this item is likely a “volcanic bomb” or displaced piece of sediment from a glacier. Another interesting fact: At this time the USAF was studying meteorites and their component alloys for their ability to withstand heat from reentry into the atmosphere to better produce guided missiles. The only logical conclusion: a big fat stinkin’ UFO. There are no records attached to this photo, but if the scale of this picture is to be trusted, that thing is either very close to the observer or very big indeed. It does look a bit like someone hung their toy submarine from a string and took a picture of it — but we can’t tell for sure!